Go to Starburst for the full version of this review. You may be more familiar with John Frankenheimer’s disastrously weird version of the H.G. 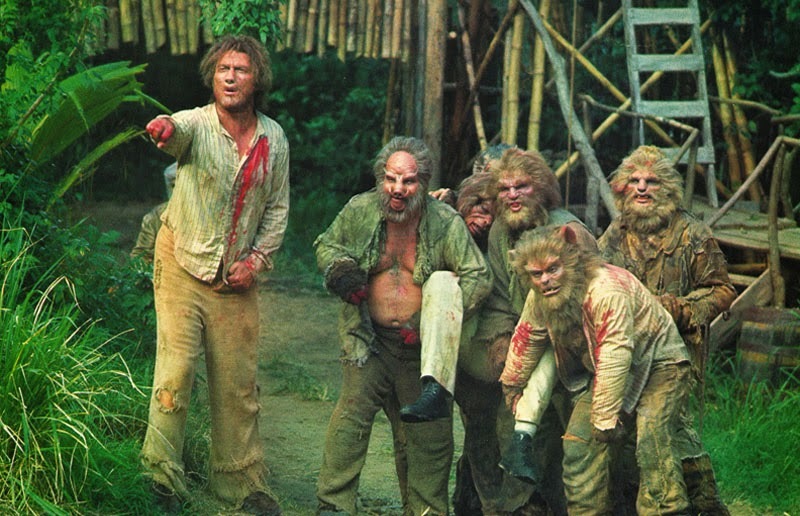 Wells classic, but The Island of Dr. Moreau has actually been adapted for cinema three times – the Brando-starring flop was preceded by 1932’s Island of Lost Souls and by Don Taylor’s 1977 adaptation, now available on Blu-ray. Mariner Andrew Braddock finds himself stranded on the remote island of Doctor Moreau. Suspicious of the exiled scientist’s peculiarly grotesque servants, Braddock comes to realise that Moreau has been experimenting on the islands’ animals, turning them into humanoid creatures with the ability to walk and talk just like us. Moreau rules over these ‘humanimals’ like a god, but, of course, they’re not going to stick to his laws forever. Compared to the Frankenheimer version, which brought the story into the modern day and added some unusual ideas to the mix, this is a relatively faithful adaptation, and Wells’ story remains a powerful warning against abuse of animals in the name of science. Burt Lancaster is a great Moreau, if more genial than the Brando and Charles Laughton incarnations, while Michael York is a strong lead as Braddock. The film’s also successful in lending depth to its human-animal hybrids, rather than treating them as mere ghastly brutes. The more problematic characters are the ones that don’t originate in the source novel, such as Maria, a conveniently attractive young woman living with Moreau. Despite the fact that Maria repeatedly says she’d rather stay on the island, Braddock decides she’s wrong and needs to escape with him. She follows along unquestionably and does absolutely nothing to affect the plot. Sigh. A couple of unnecessary narrative additions and dated make-up work aside, The Island of Doctor Moreau is a well-made adaptation of an important sci-fi novel. Hiding its low budget reasonably well, it’s no blockbuster but a solid piece of Sunday afternoon viewing.